New stills and another video teaser have been released for upcoming JTBC drama A Beautiful World, focusing on the younger cast members: Kim Hwan-hee (Miracle That We Met) and Nam Da-reum (Fox Bride Star) and their drama mom Chu Ja-hyun (A Man Called God). The focal point of the drama is teenager Park Sun-ho (played by Nam Da-reum), who becomes victim to a serious bullying incident at school and sustains life-threatening injuries. However, the perpetrator’s families and the school are quick to cover up what really happened. Thus his parents, Park Hee-soon (Missing 9) and Chu Ja-hyun, and younger sister Park Soo-ho (Kim Hwan-hee) take matters into their own hands to uncover the truth and find justice for Sun-ho. In the released stills, the two siblings are both pictured in their school uniforms. As the baby of their loving family, Soo-ho is described as having a bright and at times brash personality. Older brother Sun-ho is more the thoughtful and considerate type. Soo-ho is also fiercely protective of her kind oppa and after his accident, her love for her oppa leads her to devise her own methods to piece together what really happened to Sun-ho. Nam Da-reum and Kim Hwan-hee stated in an interview that they found the subject matter of the drama to be very relatable, especially as their real ages are similar to their characters. 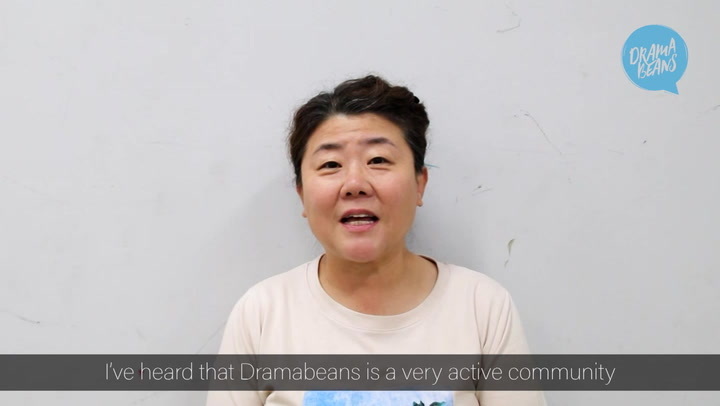 The drama siblings stated that they knew of real-life bullying issues from the news and through stories they heard from friends and that they hoped the drama would bring more awareness to the issue of school violence and be a catalyst for change. Directing for A Beautiful Life will be done by PD Park Chan-hong and writing is credited to Kim Ji-woo. The two have had a successful history of working together, and their past projects include Rebirth, Devil, and Memory. Nam Da-reum will be reuniting with the duo as he previously worked with them on Memory as well. JTBC’s A Beautiful World is set to premiere next week on April 5. I'm so ready for this drama to break my heart and put it back again in the most beautiful way possible. We just deal with it. We're supposed to be pros at this!! I have exams in April, so I'm happy and bummed at the same time about this drama. I hope it wont occupy my thoughts to much (I will definitely watch it as it comes out, because, well, I have no self-control). After Radiant/The light in your eyes, this is going to be the next 'I need tissues' drama. Love Nam Da Reum! So looking forward to this! I actually just finished Doggo Rewind yesterday so this is a good follow up. The trailer got me teary-eyed. I probably won't be able to handle the drama without my eyes bawling.